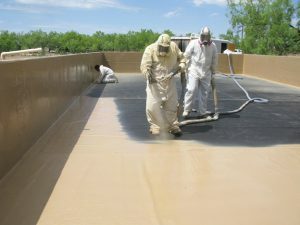 The coatings division of Lone Star Contracting (LSC) is our company’s newest division and Polyurea is the product of choice because of its remarkable coating, lining and joint sealant capabilities. Today, it is being used successfully for many different applications. 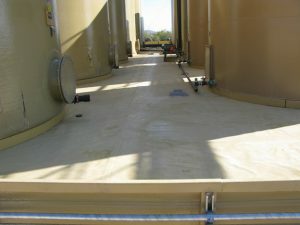 Polyurea coatings and linings are more commonly known to be applied over concrete and steel for corrosion protection and abrasion resistance. Protective coatings and linings also have tremendous advantages over conventional materials for joint fill and caulk applications due to their fast set nature, high elongation and durability/abrasion characteristics. Whether you require waterproofing or protection we offer a one-stop prep and coating service for almost any application. Our concrete coatings are tough enough for the most demanding industrial environments and offer high levels of chemical resistance, elongation and impact protection. Our steel coatings offer protection from extreme impact and abrasion meaning chipping and flaking is a thing of the past. 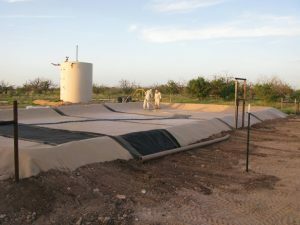 Our Polyurea know-how and equipment makes us one of West Texas’s most well equipped applicators. 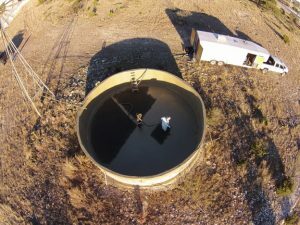 Our purpose built mobile spray unit is capable of undertaking the largest of on-site spray work. 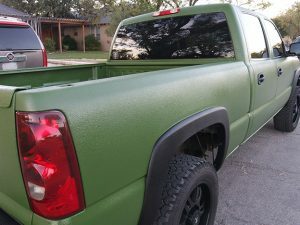 Unlike many contractors who carry their spray equipment in multiple vehicles and spend hours setting up the equipment before spraying can commence our mobile unit requires nothing more than a turn of the key due to all our equipment being permanently fixed including generator, air compressor, Polyurea reactor and the maximum length of hose.